One of my favorite pastimes is cooking with my children. Do you have kids? If you do, I want to heavily recommend that you teach them the joys of the kitchen while they’re still young and look up at you like a superhero that has all the answers. Teaching your children how to cook is more than a rite of passage; it’s just plain fun. To me, the kitchen is like a magical land that can create a special type of community and intimacy with the simple act of making a meal. 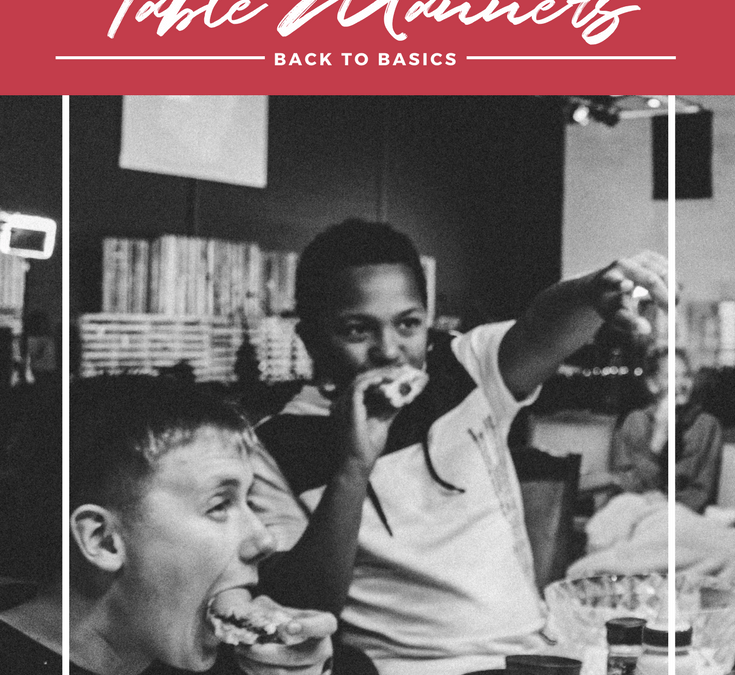 There are some little things you should look out for when you start to integrate your children into the cooking world: the basic do’s and don’ts. DO assign simple tasks. When starting out, show them how to wash veggies, how to stir sauces to not let the sides burn, how to scramble eggs, etc. DON’T let your child use a knife and cutting board without supervision and being taught proper technique. DON’T let your child remove anything from the oven. But explain how it’s done as you do it; this way, when it’s time, they’ll be ready. DO explain how when you’re using a pot or pan that you need to turn the handle to the side so it’s not sticking out so no one can run into it or accidentally knock it over. DON’T allow them to handle meat until they’ve had a couple seasoned years under your training, but explain the safety issues and demonstrate thorough hand washing after you touch it. ALWAYS let them sneak tastes of their labor in the kitchen. One of my favorite things about cooking is that I get to taste along the way, and I can guarantee that it’ll be a favorite among your children as well. Well folks, there you have it! 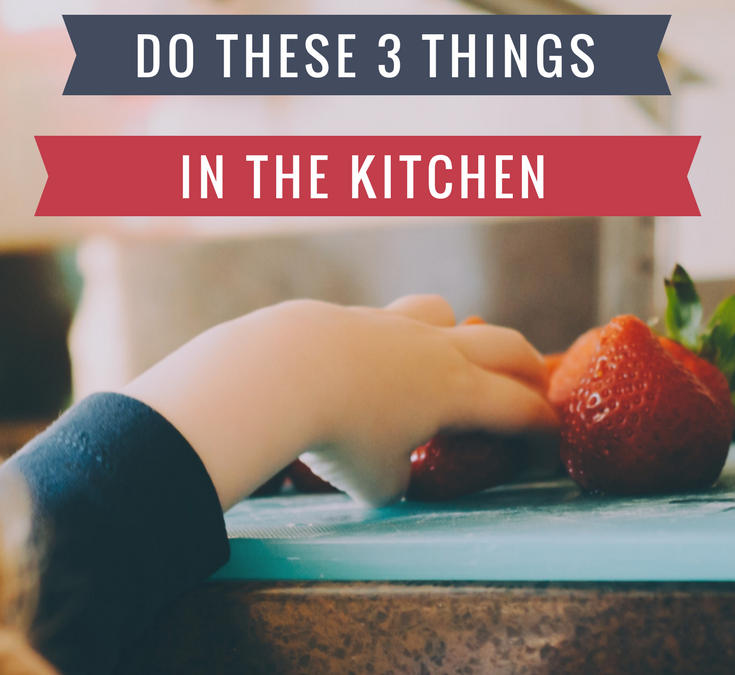 Show your children what a kitchen is and how to use it. My daughter is a college graduate now and she tells me all the time how surprised she is that hardly anyone her age knows how to cook. Regardless, your children are going to love learning this new skill! For them, it’s like finally getting to know the secret behind a magic trick. Have FUN!! How Clean is Your Fridge? Why is it the last thing to get cleaned in a kitchen is the inside of the refrigerator? I know that’s true for a lot of people; it certainly was for me! The fridge was the last frontier for me in the kitchen. I could keep the kitchen clean, unload the dishwasher regularly, keep the floors up, the pantry reasonably organized. But the fridge? I would let it go. And then it would be a bear to deal with. I had a perfectionist attitude with my fridge—it was an all or nothing proposition. I would spend an hour or more cleaning every last nook and cranny. Tossing stuff left, right and center, cleaning the rubber gasket with a toothbrush, pulling everything out, disinfecting it and making the whole thing gleam. Honest, I could see that thing shine from my bedroom! One day it dawned on me that I did not have to clean my fridge like that. I could do it one shelf at a time! I could keep things rotated and wiped down in as little as 2 minutes at a time. But the secret for making that happen was what I like to call Refrigerator Awareness. 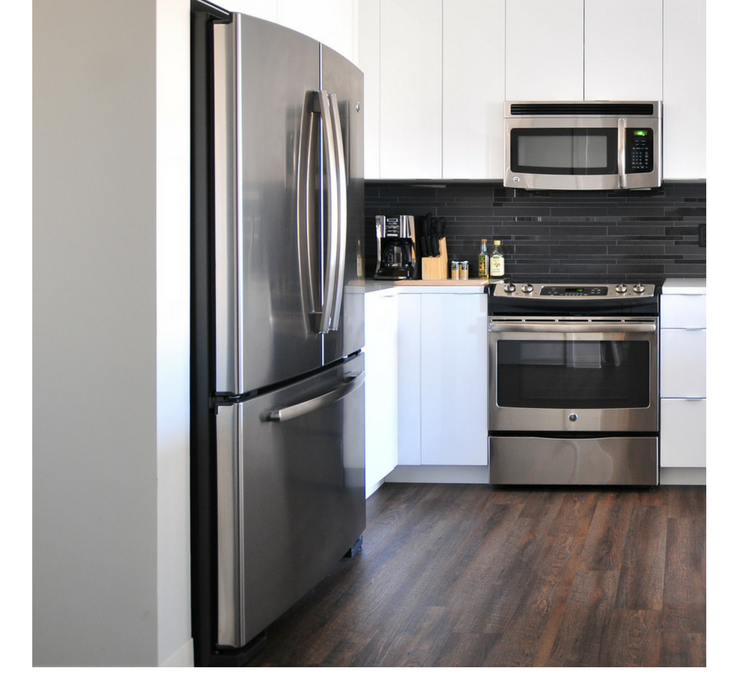 Cleaning the fridge does NOT need to be a project! All that means is adding Refrigerator Awareness to your radar screen and don’t let that big, old appliance turn into that nasty, dreaded cleaning project! It truly does NOT have to be that way! To recap: 2 minutes a day. That’s all. Let’s put an end to Project Refrigerator Clean-ups. I don’t know about you, but I’ve HAD it with those big jobs! The same awareness goes for the freezer! Is yours cleaned up enough to handle some handy freezer meals? Hands up if you ever questioned your parents when they told you not to waste your food because there are people starving in Africa. As a child this really doesn’t make a lick of sense. How can the food I don’t eat help a starving person? Are we actually going to ship our leftovers to them? We all know as adults that this was our parents’ way of trying to encourage us not to waste our food. But the truth is, if our ancestors could see how much food we’re wasting day in and day out, they would be absolutely appalled. And you know what? It really, really makes me mad; it doesn’t have to be this way! 1.3 BILLION tons of food gets wasted per year by people from all over the world. That’s billion, with a B. To put this all into perspective, that is roughly one third of the food this planet produces. ONE THIRD. Wasted. And this is happening while 925 million people on the planet are suffering from hunger. This is just not right and it’s not doing our planet any good. 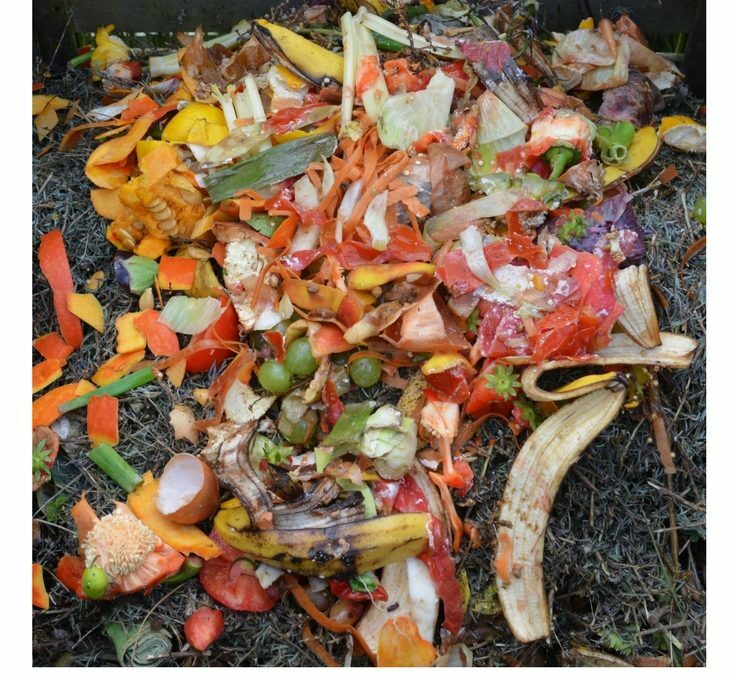 Food disposal is hard on the environment and it costs money. Not only is good money wasted by throwing out food we paid for, but roughly a billion dollars is spent on getting rid of wasted food in the United States each year. 1. Make meal plan each and every week (all of our Dinner Answers menus come with a categorized shopping list) before you go grocery shopping. You’ll only buy what you need. 7. Use your crisper drawers for items you eat a lot, like carrots and apples. It’s not called a crisper, not a rotter, so don’t put easier-to-forget-about items down there to languish where it will just turn to a nasty mess. How do you try to prevent wasted food in your home? I get asked all the time for ways to make dinner faster. I get that; we’re a microwave society. We want it quick, dirty and hassle-free. This is why convenience foods are so popular (and expensive and 99% of the time, full of chemicals and lacking nutrients). 1) Shear Strength. I use my kitchen shears as much as I use my knives. From snipping fresh herbs, to opening bags of frozen berries, to cutting up chicken, I have two pairs and one in always in the dishwasher! 2) Foiled Again. To prevent my celery from going limp and nasty (and listen, having to run out to the store to buy fresh celery in the middle of cooking is total buzz kill) I wrap it foil. It stays fresh for weeks this way! 3) Garlic Getaway. I use these little garlic ice cubes (Dorot is the brand) that I buy from Trader Joe’s to shortcut the fresh garlic pressing stuff. 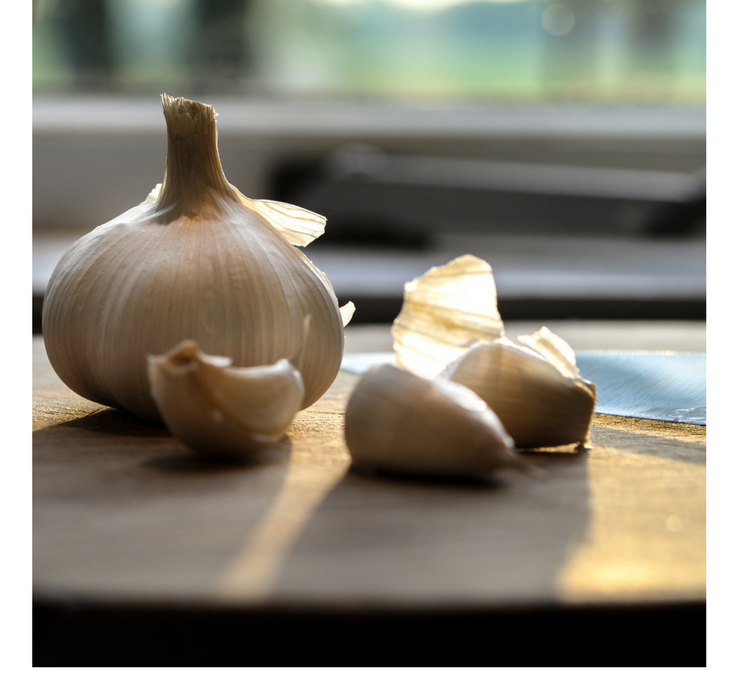 The garlic is better (in my opinion) than that of the jarred variety and it’s so easy and convenient, love them! 4) Spin on Spinach. I buy triple washed tubs of organic spinach at the warehouse store. I saute it for a side dish, add it to salads, make it the salad, stir it into soups, eggs and quiches. It’s amazing and versatile and cuts my prep work way down. 5) More Spin. I use a salad spinner for my lettuce to get it nice and dry. Wash it, throw it in the spinner, take it for a quick spin and voila, lettuce that’s washed, dried and ready to go for your salad! These are just a few of my shortcuts. What about you? Do you have some tried and true ones you’d like to share? Have you ever removed a tray of meat from the freezer only to find discoloration and ice crystals? If you’ve forgotten about a carton of ice cream in the freezer for any length of time, you may have opened it to find its surface covered in ice. Freezer burn, we tend to call it. 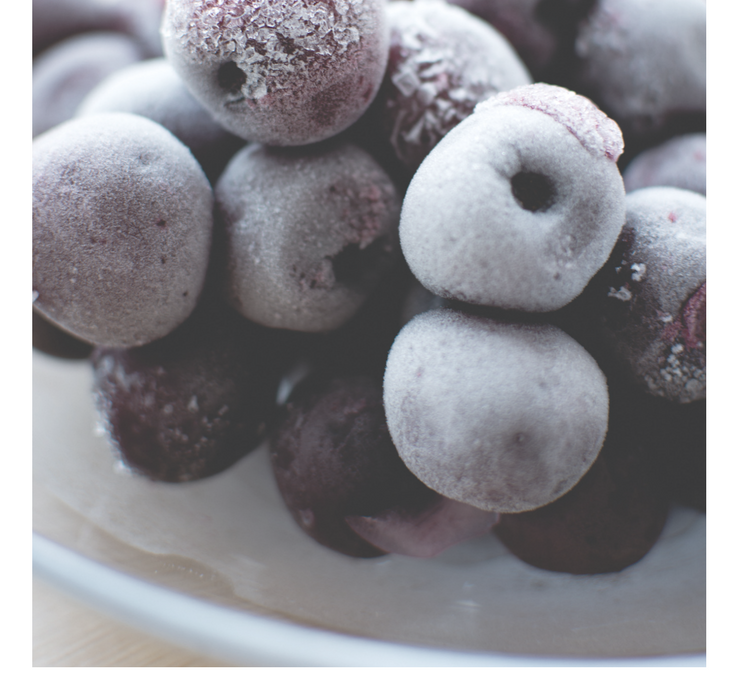 Freezing food is a great way to extend the life of our perishable items, but when you freeze foods, you stand the chance of having your food become freezer burnt. Freezer burn presents itself as discoloration on the surface of frozen foods such as bread and meat. Ice crystals are another sign of freezer burn, which we can find in frozen produce and ice cream. To understand freezer burn a bit better, it helps to know more about how the freezing process works. When food is frozen, most of the water content of that food is converted to ice. Some of the water, though, is converted directly to water vapor and is released from the food all together. This process is called sublimation. This water loss causes food to become dehydrated over time, like ice cubes that eventually shrink when they’re left in the freezer. So, in essence, this process freeze dries parts of foods, resulting in freezer burn. In air-tight containers (like ice cream), that water vapor forms frost on the insides of the container and/or on the surface of the food. In open containers or containers that aren’t perfectly sealed, the vapor that escapes actually leads to that build up of ice on the inside of non-frost-free freezers. And what we’re left with is food with strange flavors that’s difficult to chew. When you have freezer-burnt food on your hands, you should do your best to discard the areas that have been affected. But you know I just hate food waste, so let’s talk about how to prevent freezer burn all together. Remove as much air as you can from packages you freeze food in. The closer your food is to its packaging, the less chance there is of it losing water. Don’t leave your food in the freezer longer than you have to. The longer your food is frozen, the greater the chance of it becoming freezer burnt. Set your freezer at the lowest setting that you can in order to help avoid sublimation from occurring, as it’s less likely at lower temperatures. Always use high quality zipper-style bags to freeze food, and try to wrap foods in a bag that fits just right. Don’t place hot food in the freezer. You risk increasing the temperature of your freezer, and some of your frozen foods may even start to thaw. Avoid opening the freezer door more than it needs to be opened. This will help keep the freezer temperature from fluctuating, which can lead to freezer burn. Making meals out of the meat/poultry/fish and produce you buy as soon as you get them home from the grocery store is another way to ensure that your food doesn’t get wasted and forgotten about at the back of the freezer. We have just the thing to keep your freezer full of great healthy meals so you never have to wonder “what’s for dinner”. Click here to learn more! 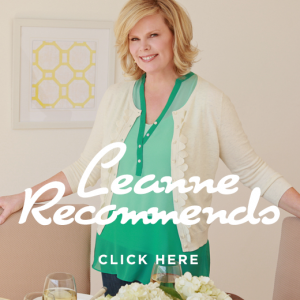 You know how I feel about making dinner an event in your home. I’m a firm believer in getting everyone around the table together for dinner to reconnect with each other, discuss the day’s events and to nourish our bodies with good home-cooked food. A few weeks ago I talked about the importance of learning how to set a proper table. Today, I’m going to talk about something else that makes sitting down to a meal an enjoyable experience. Today we’re talking table manners. My children were taught how to behave at the table from the time they were in their booster seats, so they naturally grew up knowing what to do and what not to do at the table. This might not seem like a significant life skill to some people, but I believe that it is. Think about it. How quickly can someone be turned off by a person chewing loudly with their mouth open in a formal dinner setting? It drives me up the wall when someone reaches over my plate to grab something at the table, rather than asking for me to pass it to them. If you have children around your table, you have lots of time to train them in dinner table etiquette. Teaching table manners to pre-schoolers. For children at the higher end of this age bracket, they can be taught to say nice things about the foods they like and to not make a fuss about the foods they don’t like. Teaching table manners to grade-school children. Include children in discussion around the table and make sure your child knows that you’re interested in hearing about their day. When they have these manners down as children, it’s really just a matter of refining them through young adulthood. Comment on their good manners when you find they’re using them. Your praise goes a long way. Teenagers should already have these basic table manners down, but please make sure there’s a “no phones at the table” rule in place. Lead by example! Everyone should wait until dinner is over before returning to their mobile device. What is your biggest dinner etiquette pet peeve? Come tell us on Facebook.